If you are fairly young or if you’ve eschewed credit cards all your life, you may wonder whether or not you have a credit score. How can you find out if you have a credit score, and what can you do if you lack one? It’s easy to order a credit score. Most of the major credit bureaus will at least link you to places where you can obtain it. You can also find it right on your statement if you have the Discover it credit card. There are also many ways to find your credit score for free. But let’s suppose you don’t have a credit score. You need to build one! Don’t panic. It’s not difficult, it’s just going to take time, patience, and you’ll learn good credit responsibility along the way. Let’s say you want to begin building a credit score, but not go into debt. That’s a reasonable approach. Do what you can to achieve your goal by doing the things you do every day already, without incurring debt. Get utility services, like gas or electric or cable TV. Guess what? This is credit, and credit bureaus will regard these as on-time, in-full payments for these services. Unfortunately, most utilities only report delinquencies, so ask if they report on-time payments. Paying rent on time is not only good to keep you in your home, but also good for your credit history. Join WilliamPaid, which reports on-time rental payments to a division of Experian, known as Experian RentBureau. A very effective way to build credit is to use a secured credit card. Whereas most credit cards are unsecured — in that the issuer is relying on your promise and credit history to pay the card off — a secured credit card has a backstop for the issuer. You put up a certain amount of money that the issuer will use in the event you default. They keep that amount in reserve to cover any defaults. That amount of money serves as your credit limit. Then, you’ll want to move on to apply for regular credit cards using our comparison tool. If you have the need, and means, for some kind of an installment loan, that’s a great way for building credit. These are things like auto loans, since credit is a factor in building credit score. You can apply for credit cards and then not use them, with the goal of reducing your credit utilization rate. Credit bureaus like to see you have lots of credit, of which you only use a small percentage. Most importantly, however, always be sure to pay your balance in full, on time, every time. Nothing is better for your credit score. 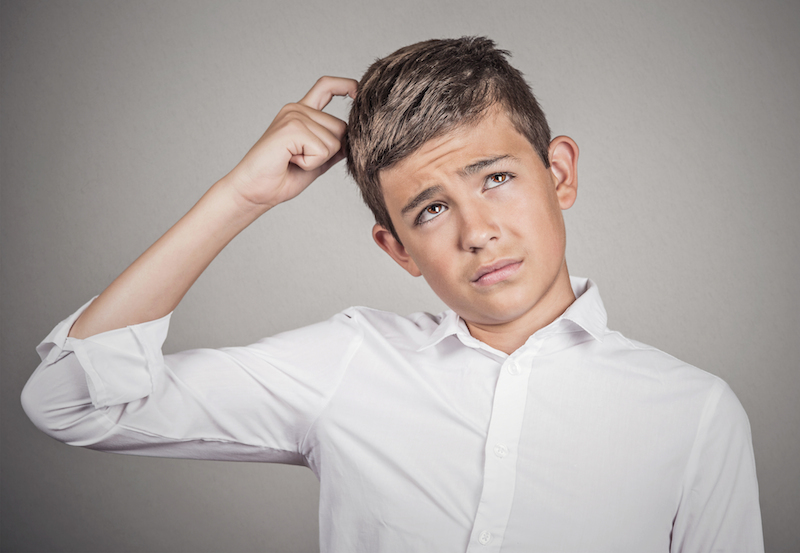 Confused young man image via Shutterstock.